A new dramedy web series about six Black and Latinx friends as they struggle to live and love in New York City. Lori Laing first learned the art of storytelling by paying attention to the rhythms of the people around her in Southside Jamaica Queens. Labels she identifies with: he/she/they, queer, West Indian, artist, feminist, Black, leader, patriot, blasian, libertine, optimist, revolutionary. Her New York theatre credits: Girls of Summer, The House of Bernarda Alba, No Exit, Balm in Gilead. Upcoming films: Scenes from the Underground directed by Eric Swiz, Up or Out directed by Natasha Straley. She’s also in the web series 195 Lewis. Training: MFA, Columbia University. Natalie Jacobs is a former Division 1 All-American Scholar Athlete who competed at Penn State University. After graduation, she moved back to Virginia, and began her drama studies at the Studio Theatre in Washington D.C. Soon thereafter, she migrated to New York City and has since been featured on television, in various stage pieces and in national training videos. 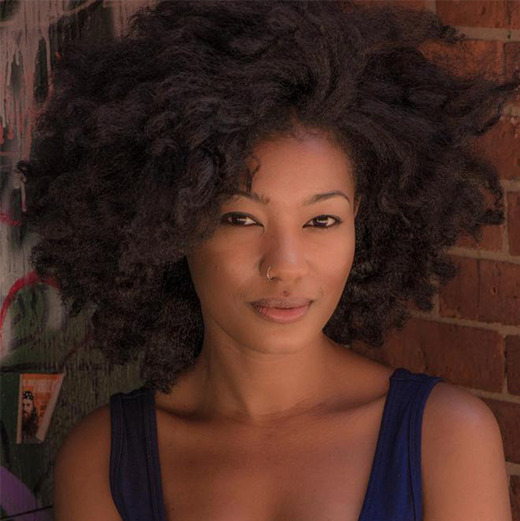 Most recently she played the lead in the short film Privilege Unhinged, which premiered at the DC Black Film Festival. This fall she will return as Monica Lee in the Emmy nominated series, Tough Love. She plays the bongos, has her motorcycle license and is something of a ninja. For more info and updates, visit www.NatalieDJacobs.com. Mark St. Cyr is a leading man and quickly rising star. Mark is a series regular of DOOMSDAY, a new TV series that has won top awards at TV festivals NYTVF, ITVFest, & Brooklyn Webfest. Mark co-stars as Langston Hughes' boyfriend in the upcoming feature film, MARSHALL, opposite Chadwick Boseman and Jussie Smollett. Other major credits include GOING IN STYLE, LAW & ORDER: SVU, SNEAKY PETE, ROYAL PAINS, PERSON OF INTEREST, and I LOVE YOU BUT I LIED. He is an alumni of the ABC Diversity Talent Showcase alongside the likes of Chadwick Boseman, Laz Alonso, and Jesse Williams. Sly Maldonado is an actor based out of NYC. He studied at James Franco's Studio 4 and began building his credentials immediately after leaving the school. He has done commercials for Nikon and Sony Playstation. He also wrote/directed/acted his short film "Trapped". He continues to build his credentials and create his own content as well. Nathaly Lopez, a.k.a Nat Lopez, is an Afro-Latina hailing from the Caribbean (Santo Domingo, Dominican Republic). She grew up and resides in the Bronx. 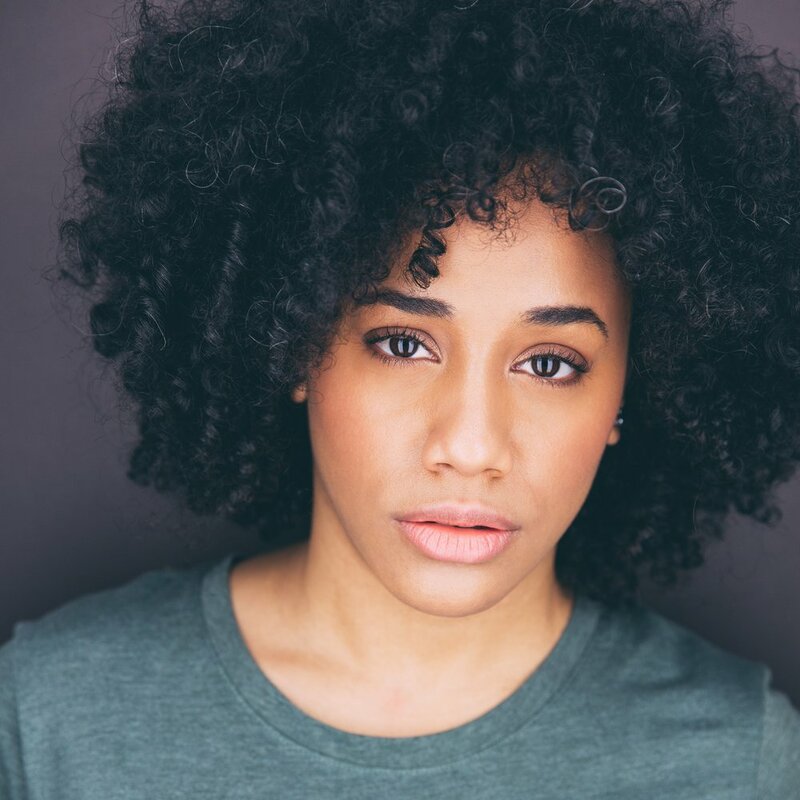 As an actor, singer, and recording artist, some of her top accomplishments include her album release "Nat Lopez," touring as a singer with Cirque du Soleil, performing Off-Broadway at New York Theatre Workshop, and her TV debut on Investigation Discovery's "The Perfect Murder." Since falling in love with Television & Film, she continues to pursue that path strongly. For more: www.natlopez.com. IG, Twitter, FB: @natlopezartist. Jarvis Tomdio is an actor from the Washington D.C. area and is currently based in New York City. He is a first generation American, as both of his parents were born and raised in Cameroon (West Africa). Growing up, Jarvis always enjoyed playing make-believe and coming up with characters, but never considered getting into acting. This all changed when he did a play his junior year of high school and discovered that acting was something that he could see himself doing for the rest of his life. Jarvis is passionate about his craft, and currently trains at the Acting Studio NY. As he continues to grow in his career, you can expect to see more of him on screen and on stage! Born in Bed-Stuy, Brooklyn, Dafina is a New York native who works as a development executive/ producer/ writer/ director in television, film, and theater, with a specialization in coming-of-age stories. She is currently a Kickstarter Creator-In-Residence. Previously, she has worked in development & production at Viacom as well as at the Oscar-nominated youth performance company—IMPACT Repertory Theatre. Dafina co-produced the coming-of-age feature film, “Punching At The Sun” (Official Selection of the 2006 Sundance Film Festival and Tribeca Film Festival; Winner for Best Narrative at the San Francisco International Asian American Film Festival.) In addition, she has produced and directed live events at the Starbucks Music Series for the Sundance Film Festival as well as at MTV with the cast of “Fela! On Broadway". Sophia Clark is a Harlem based Producer driven by a passion for humanizing and celebrating queer and POC stories. She graduated from Philadelphia’s University of the Arts with a BFA in Film Production and a double minor in Creative Writing and Religious Studies. Before she transitioned to New York, Sophia worked as the Creative Consultant for the feature-length documentary Give to Live, which focused on charitable giving and foreign aid in East Africa. Currently, Sophia works as a field and coordinating producer for WNET, PBS’s flagship station. Her work with public media has yielded multiple local Emmy-nominated documentaries and collaborations with PBS Digital Studios and PBS Learning Media. Jordan Battiste is a music producer and filmmaker residing in Harlem, NYC. He has appeared on MTV’s P. Diddy’s StarMaker, procured placements on various film and TV projects such as Step UP 3D, MTV’s 10 on Top, and MTV’s MADE. The success of Jordan’s work on MADE lead to his appearance on the popular MTV show as a MADE Coach. Jordan was also instrumental in the development and signing of pop artist Marco Foster to multi-platinum artist, Flo Rida, and his label imprint IMG/Strongarm. Jordan concurrently joined the Hip Hop/Pop band, Pants Velour, as keyboardist/vocalist and was instrumental (pun intended) in their signing to Tommy Boy Entertainment LLC., as well as, produced the music for Shaun T’s newest workout DVD project, CIZE. Currently, Jordan has created a production company called, The Panda Bandit, LLC., which provides original content for brands, is currently developing various original web series, and producing a feature length movie. Hassan El-Gendi (a.ka. HaZ) is a Creative Consultant and Social/Branding Strategist with a unique, approach to digital branding and marketing for entrepreneurs and small business owners. He credits the combination of his project management experience in pharmaceutical advertising and creative work across multiple media platforms (his work has been featured in radio, television, and film) with his "creatively strategic" approach; developing and executing innovative strategy to produce quality content which crafts a unique, compelling identity helping brands to stand out in today's market. When he is not bringing value to individuals/organizations in need his services, HaZ can be found indulging his passion for food, photography, and hip-hop, as he builds his latest project: a hip-hop fueled, multi-media exploration of what connects us together entitled "all.brunch.everything." 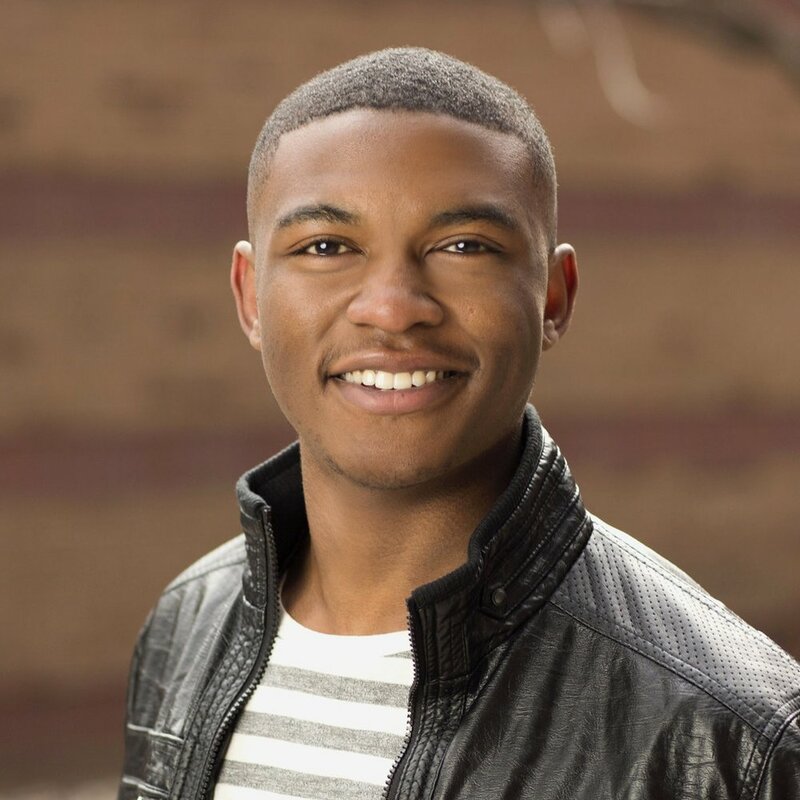 Bradford Bridgers is a publicist and aspiring visual creative from Fort Washington, MD. Bradford’s diverse digital media experience has supported key editorial and marketing initiatives for a number of brands and events, such as the Essence Festival, TIME 100, BET and more. A modern renaissance man, he is currently working to develop his writing, photography and acting skills. Bradford’s current passions and projects involve telling compelling visual stories that highlight and normalize queer people of color’s lived experiences in America. He currently resides in Brooklyn, New York. LaMonday Baxter is a creative hailing from Raleigh, North Carolina. Her background is in digital media, filmmaking, photography, and content development. She works as a YouTube Strategist for Complex Networks. While at Complex, she works as a liaison between video and development- helping to coordinate for both Complex’s Election live coverage night, and the first ever ComplexCon. By night, she is currently helping to develop visuals for The Molecule Project and streetwear brand, Sundae School. Although she has many skills, she prides herself on her passion for using media to impact content that explores various groups of people and cultures. LaMonday resides in Brooklyn, New York.